Bluish-grey rectangular coping stones. 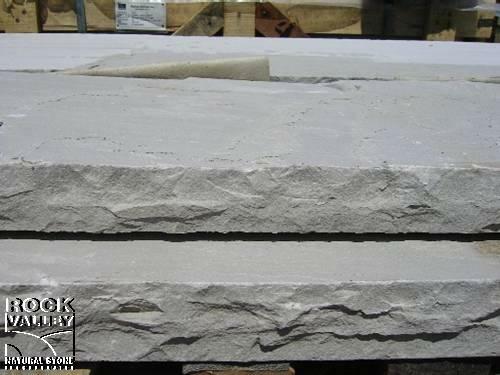 Natural top with a calibrated bottom and 4 sides rock-faced. Typically used for covering existing steps and edging porches and pools.